Yangon lies in the fertile delta of southern Myanmar, on the wide Yangon River. The city is filled with tree-shaded boulevards, while shimmering stupas float above the treetops. 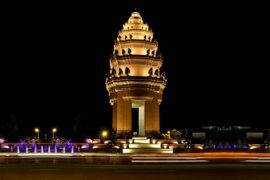 The city became the capital only in 1885, when the British completed their conquest of Upper Myanmar and Mandalay’s brief period as capital of the last Burmese kingdom ended. 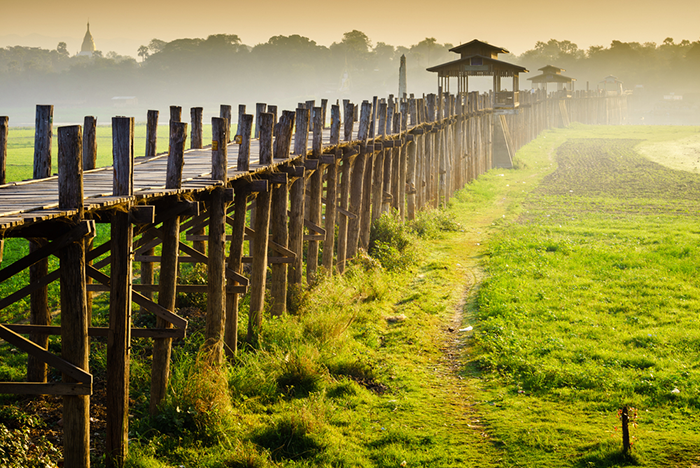 Start the day in the heart of Yangon which features an interesting selection of monuments and colonial buildings. Among others, you will see the Independent Monument, the High Court, the City Hall and the Sule Pagoda. Finally, continue to the Shwedagon Pagoda, the highlight of any visit to Yangon. 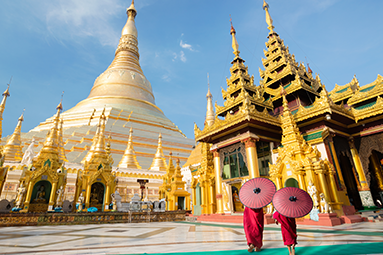 Towering over the city, this pagoda is the most sacred spot in the country, built to house eight hair relics of the Buddha. The Shwedagon and surrounding shrines are at their most beautiful during the sunset hour, as the golden stupa reflects the changing colors of twilight. Proceed to the Yuzana Plaza (closed on Monday). 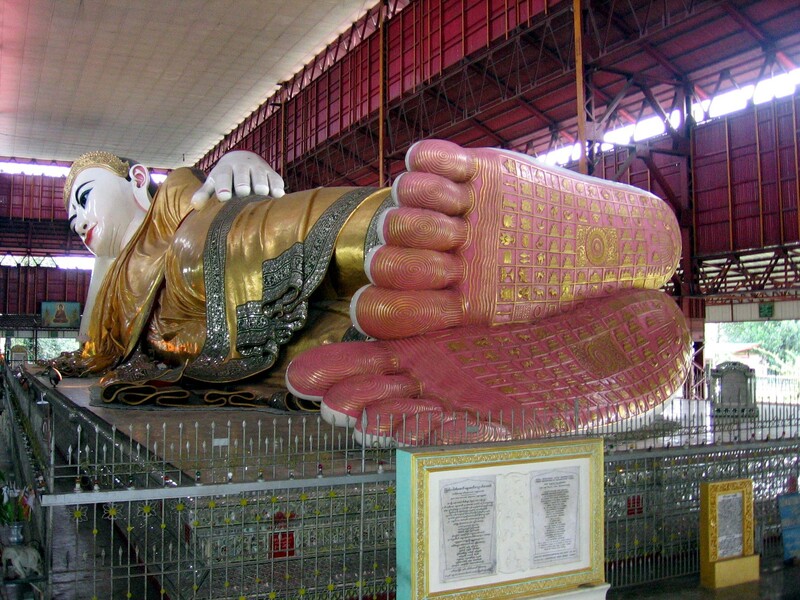 The reclining Buddha at Chaukhtatgyi Pagoda in Yangon which is almost as large as the enormous figure of Shwethalyaung Buddha in Bago. 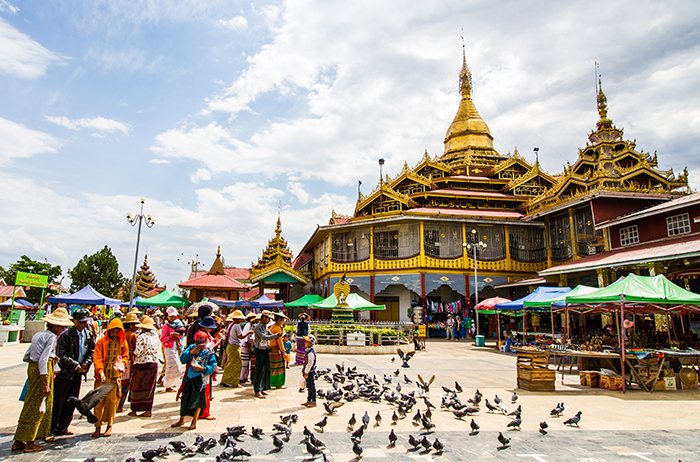 It’s housed in a large metal-roofed shed on Shwegondaing Lan, only a short distance north-east beyond the Shwedagon Paya. Surprisingly, this huge figure is little known and hardly publicised at all- if the chance to go to Bago to see the Shwethalyaung was missed, then don’t pass on this opportunity to witness this colossal image. The afternoon’s tour includes some of the city’s most interesting temples and palaces. Begin at Shwenandaw Kyaung, or the Golden Teak Monastery. Built entirely of golden teak, this intricately carved wooden monastery was once part of the Mandalay Palace, used as private apartments by King Mindon and his chief queen. Continue to Kyauktawgyi Paya, famous for its monumental seated Buddha, carved from a single block of marble. 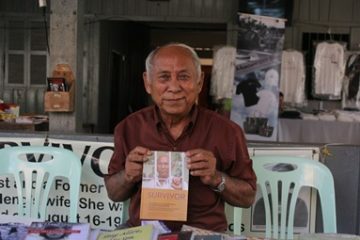 Continue to Kuthodaw Paya, known also as “the world’s biggest book”. Around the central stupa are miniature pavilions, each housing a slab of marble Numbering altogether 729, these slabs are inscribed with the entire Tripitkata, or Buddhist scriptures. The final stop is at Shwe Kyin Old Monastery, an old monastery at the base of Mandalay Hill which was built during the period of King Mindon. This day tour visits three former royal capitals, each with its own unique atmosphere. In the morning, drive to Amarapura, and visit Mahaganayon Monastery; every day at mid-morning, monks and novices line up to receive their daily offering of alms and food from faithful Buddhists. Next, head to Sagaing, the spiritual centre of Myanmar. 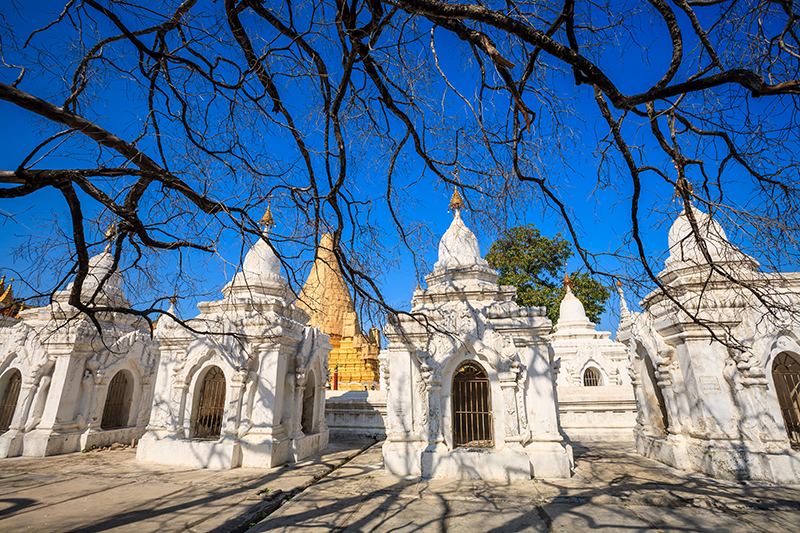 Hundreds of stupas, monasteries, temples and nunneries are to be found in Sagaing Hill, often known as a living Bagan. Thousands of monks and nuns retreat here for meditation and contemplation. Stop at some of the most famous temples, such as Sun U Ponya Shin Paya, U Min Thonsei Paya and Kaung Hmu Daw Paya. 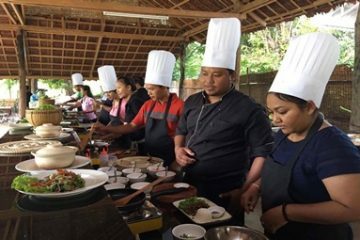 Pyin Oo Lwin was originally a Shan Danu village, but following the influx of Asians during the British colonial era, it is now home to around 5,000 Nepalis and 10,000 Indians. For many years it was a British hill station as due to the altitude, even at the height of the hot season, it is pleasantly cool and the air is fresh. 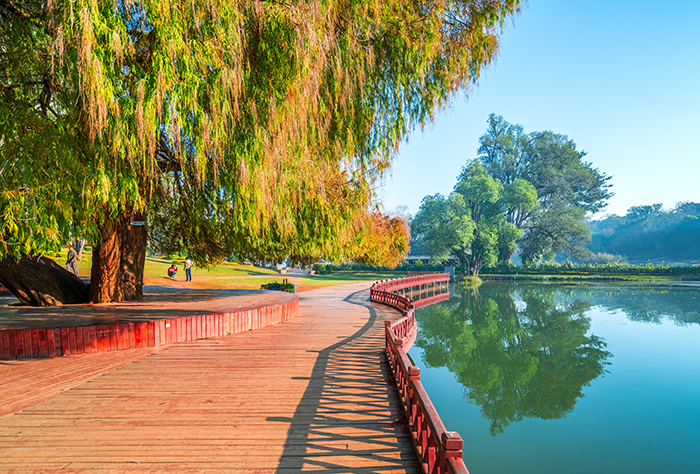 Visit the Botanical Gardens, which feature wide expanses of manicured grass, large flowerbeds, natural forest, rose gardens and an orchid house. Enjoy the views of the town from the tower in Botanical Garden. Colonel May used Turkish prisoners of war to develop this 237-acre botanical garden during WWII. See the Purcell Tower, situated near the entrance to the town. The tower was a gift from Queen Victoria, who offered an identical tower to Cape Town in South Africa. South of the central area is the Church Of The Immaculate Conception, which features a large brick sanctuary with a belltower and cruciform floor plan. The vaulted wooden ceilings and well-appointed interior are impressive. 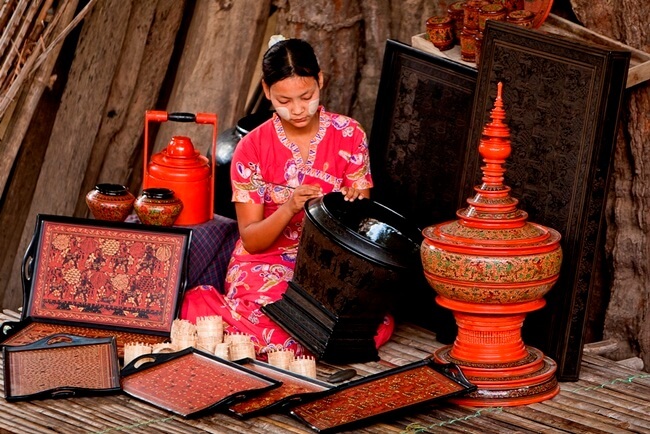 Have a chance to visit a lacquerware workshop to learn about the intricate process of lacquerware making and decoration. 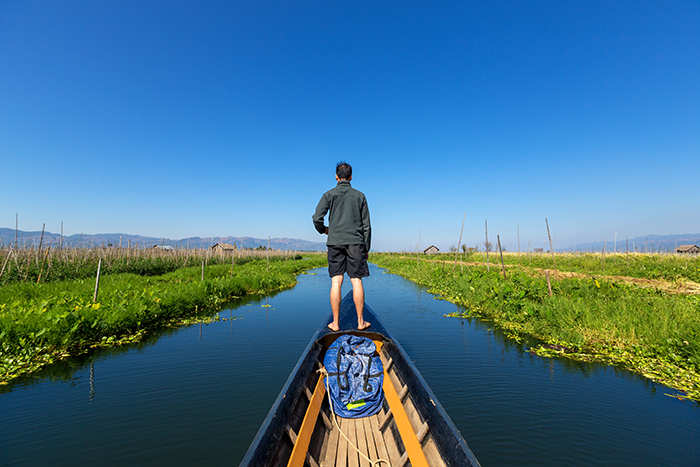 At the end of the tour enjoy a panoramic view of the sun setting over the plain of Bagan from one of the ancient pagodas. A selection of temples will be visited including: Shwezigon Paya, a beautiful golden pagoda containing relics of Buddha. The site was started by Anawrahta but not completed until the reign of Kyanzittha between 1086 and1090. The pagoda’s graceful bell shape served as a prototype for later stupas built throughout the country. Gubyaukhyi Temple at Wetkyi-Inn, an early 13th century temple with an Indian-style spire. The ceiling is covered with paintings depicting the previous life of Buddha. Ananda Pahto, one of the largest, most beautiful and best preserved of the Bagan temples. 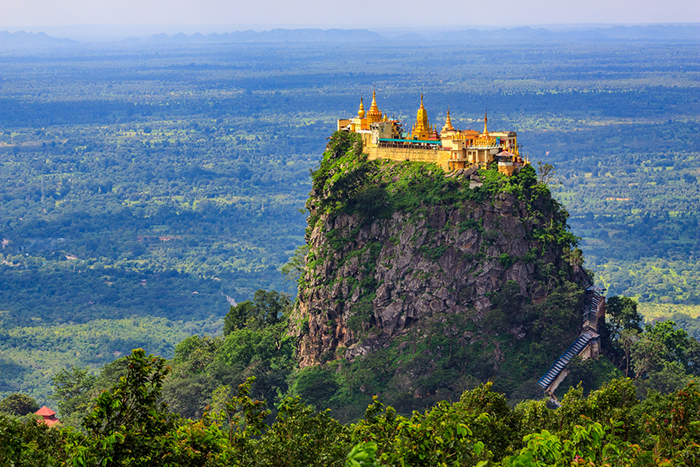 It was built around 1105 by King Kyanzittha who was inspired by Indian architecture. 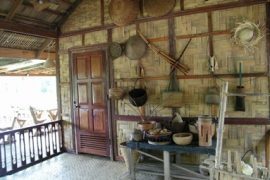 During the 1975 earthquake Ananda suffered considerable damage but has been totally restored. Gubyaukhyi Temple at Myinkaba, a 12th century Buddhist temple famous for its well-preserved frescoes, considered to be the oldest original paintings to be found in Bagan. Manuha Temple, which was built, according to inscriptions, by the captive Mon King Manuha in 1067. It contains three seated Buddha images along with an image of Buddha entering Nirvana. Shwesandaw Paya, a graceful white pyramid-style pagoda dating back to 1057. 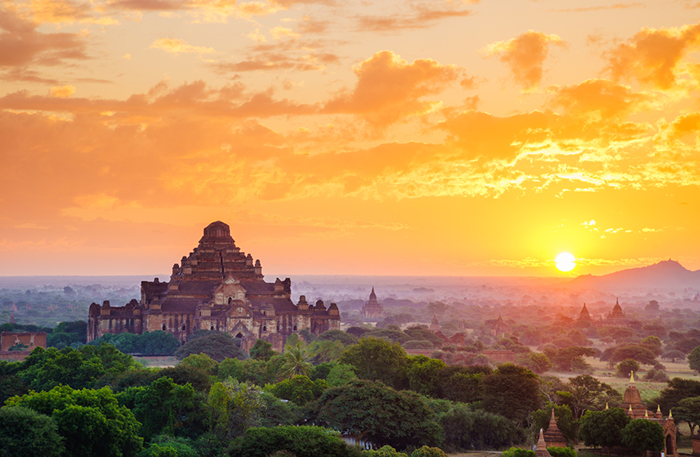 This 328-foot-high imposing structure is visible from far away rising from the plains of Bagan. Enjoy sunset at one of the sunset hills or from Bu Paya.